«Deglava Bridge is only the first step. In response to public concerns, we plan to survey other bridges in Riga,» said the minister. State Construction Control Bureau informed Economy Ministry that their construction inspector sent Riga City Council’s Transport Department as the construction initiator a report in accordance with which construction work was halted on the Deglava Street’s overpass in Riga. Publicly available information states that use of the overpass was not halted after the halting of construction work. However, the permitted mass for vehicles using the overpass has been limited to 30 tonnes. 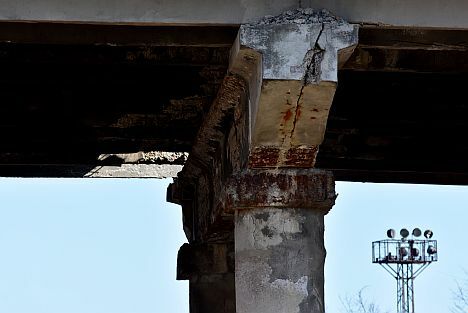 Continues use of the overpass is explained with the construction designer SIA Inženierbūve’s technical assessment report’s conclusions – that no deformation of the supports of the overpass has been observed to assume a reduction of the structure’s durability. State Construction Control Bureau notes that it does not have information that would allow unambiguously assessing the bridge’s compliance with the principles of mechanical strength and stability and affirming compliance of the construction office’s decision to permit the use of the overpass with requirements of the Construction Law. Additionally, Riga City Council’s decision on limiting permitted vehicle mass on the overpass remains unclear. With that, Riga City Council has been asked to provide detailed explanations regarding giving permission to continue using the overpass and limiting permitted mass of vehicles using it.